In 2015 was produced sailing boat Leopard 44 called Vedra. This boat is based in base Tonnarella in region Sicily in Italy. You can take in up to 10 crew members on the sailboat Vedra. Layout of berths is 10 (8+2). There are 4 cabins situated below yacht's deck. Vedra is equipped with 4 WC with showers. Use the search engine for search for different yachts in this site: Catamarans Sicily. Fuel tank is 700.00 l l. big , tank for water has up to 780.00 l l. In this vessel is applied engine 2X Yanmar Diesel 39 HP. With 12.98 meters of lenght overall and 7.24 meters of width Vedra offers enough space for comfortable sailing. Leopard 44 Vedra is equipped with: Air conditioning, generator. . Deposit accounts for 3750.00 EUR. 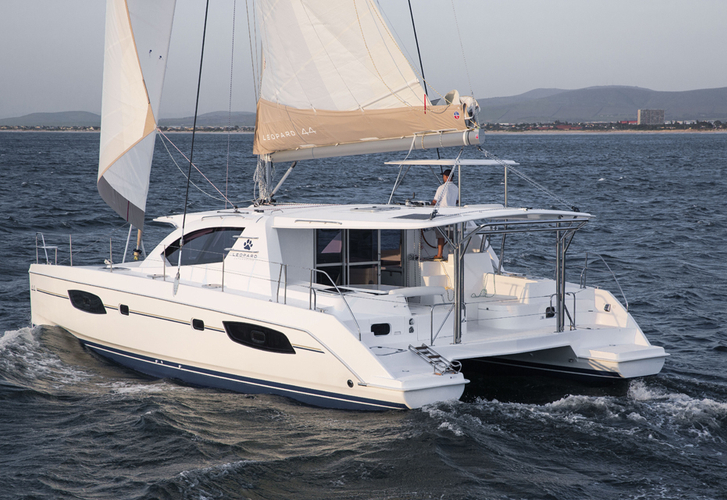 You can analyze different boats under this link: Catamarans Tonnarella.